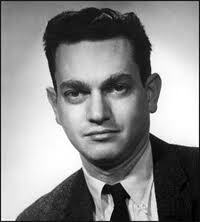 Marshall Nirenberg was a US biochemist who found the key to the amino acid genetic code by deciphering different combinations of three nucleotide bases (called codons) within long nucleotide chains in DNA and RNA. Each combination is coded to convert a different amino acid to protein, a key process in transferring inherited characteristics. Nirenberg found he could decipher the unknown configurations by synthesizing a nucleic acid with a known base combination, and then recording the amino acid that it changed to protein. He was awarded the 1968 Nobel Prize in Physiology or Medicine, together with Robert Holley and Har Khorana, for his part in discovering how genes determine cell function.